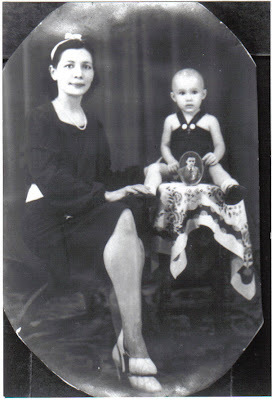 Margie holds a portrait of her "Pappie"
Evacuated from Borneo in December 1941, Anna and Margie returned to Surabaya as planned. 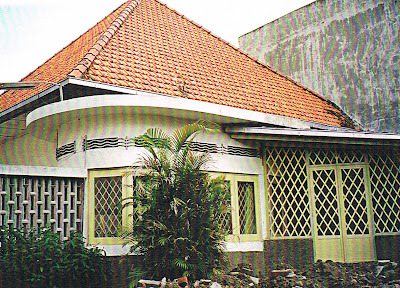 They lived in the Brantasstraat house with mother-in-law Emma and sister-in-law Elisabeth, who was now pregnant. 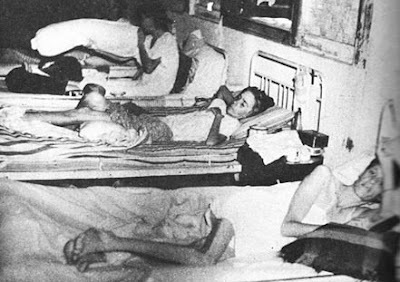 During the frequent Japanese air raids of February 1942, they took refuge in a bomb shelter in the front yard. This was a dugout reinforced with sandbags, built by Emma's neighbors from across the street. At times they had to remain in the shelter for up to eight hours. 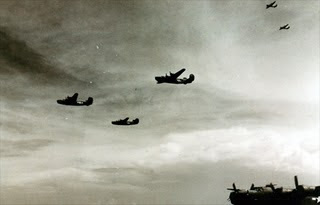 Any expectation of further reinforcement from America was dashed on March 1 by the news of Japanese landings on Java. 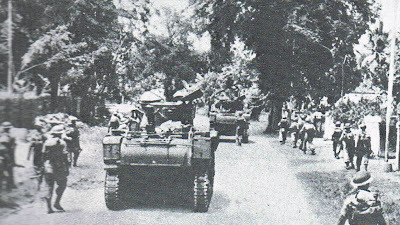 Enemy troops reached Surabaya on the 6th, fighting their way into the suburbs in the Wonokromo district and advancing along the Surabaya River towards the Gunungsari golf course. The Samethinis must have heard the artillery fire from American defensive positions, but this ceased on the 7th as Allied resistance crumbled. From the direction of the port and naval base came the sound of heavy explosions. 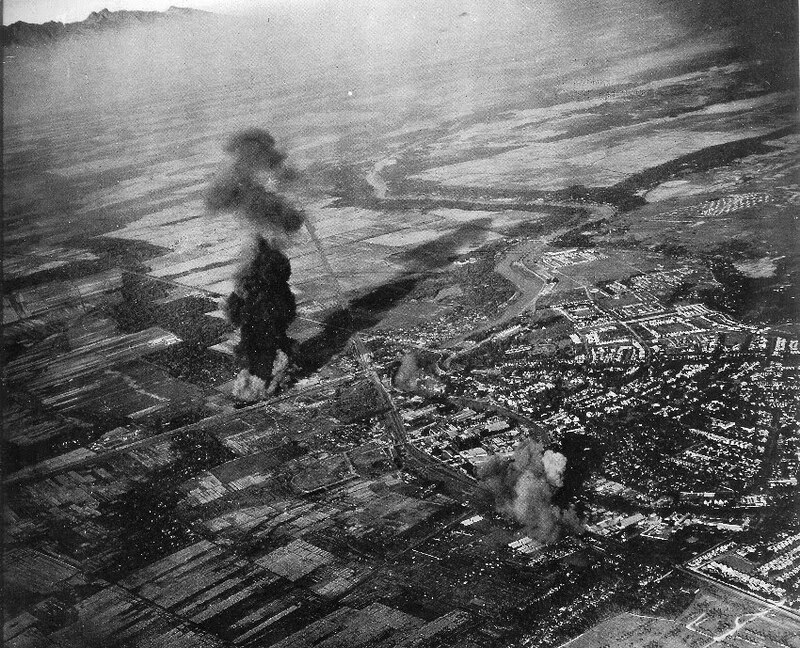 Great, dirty smoke clouds billowed from burning oil stocks and war material, set ablaze to deny them to the invaders. 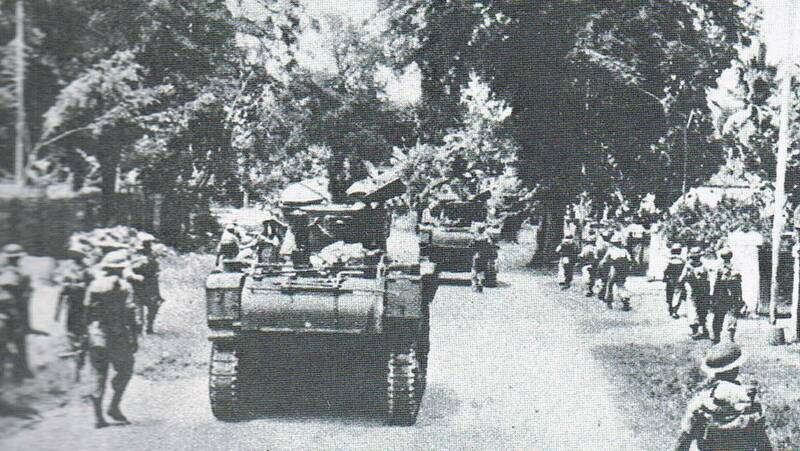 On the 8th, at 9:00 a.m., General Ter Poorten, commander-in-chief of Dutch forces, surrendered all of Java to the Japanese. 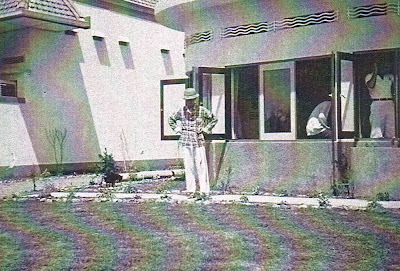 At 11:00 p.m., NIROM, the radio network of the Netherlands East Indies, concluded its final broadcast: "We are closing now. Farewell until better times. Long live the Queen!" 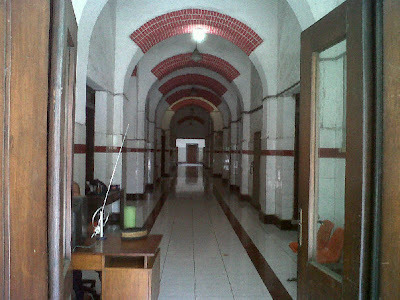 The night deepened and Surabaya passed into a shadow that was to prevail, even under the brightest noonday sun, for the next three and a half years. With equal vigor the conquerors began the extirpation of European culture, a policy implicit in their slogan, "Asia for the Asians." Dutch schools were closed, the Dutch language banned from publication. Surviving newspapers had to print all articles in High Malay. Personal life became degrading and fraught with danger. Encounters with Japanese soldiers required a ritual servility which, if not instantly displayed, was exacted with military strictness. The Dutch learned to respond to the barked orders: "Kiotske!" (Stand to attention!) "Kerei!" (Bow! ), "Naore!" (Return to attention!). Tardiness to show proper respect could be punished with face slapping or outright beatings. 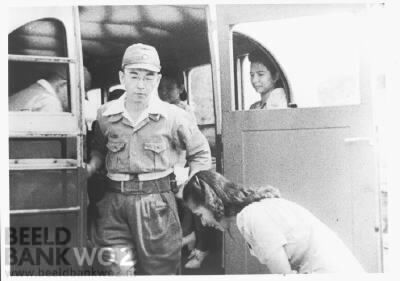 Harsher treatment awaited those who ran afoul of the Imperial Army's security police, the Kempei-tai, whose province was the concentration camp and the torture chamber. 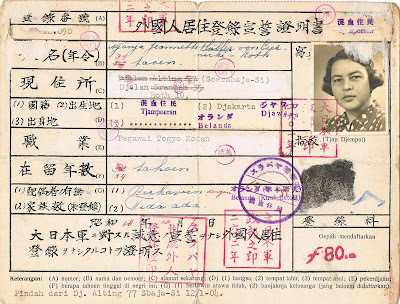 Having locked up Dutch military personnel in POW camps, the occupiers meticulously registered all "enemy alien residents of the Japanese Empire." Effectively this was a screening process to determine which Dutch civilians should be imprisoned immediately and which should be arrested later. The Samethinis reported for registration in May 1942. Anna stood in line holding 6-month-old Margie in her arms, trembling with fear, until she was called before the desk of a Kempei officer. "What are you?" he demanded. "Are you Dutch or are you Indonesian?" "She's German. Her maiden name is Gunthardt." Home was a place of relative safety, and the Samethinis were not poor according to the severe standards of the time. 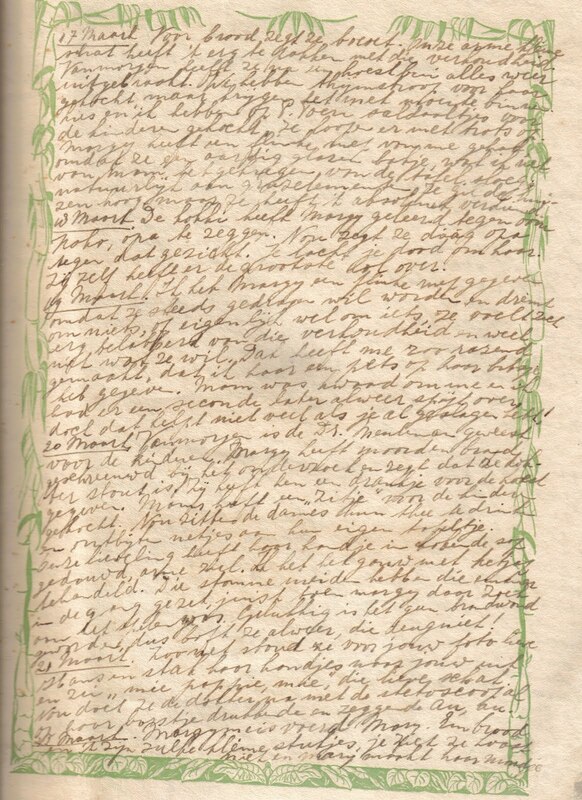 Anna's diary records the employment of housemaids, purchases of children's shoes, trips to the zoo and the ice cream parlor, and a visit to the Nikola Drakulic photography studio to have family pictures taken. There is no mention of hunger. Emma's dance school continued to give classes, though this probably generated only a modest income. Added financial support came from Anna's friends, Jean and Albert Muller, who lived on Altingstraat (where they had settled following the confiscation of their house on Koetaistraat). Albert, it seems, worked as an illustrator for the publisher H. Van Ingen. 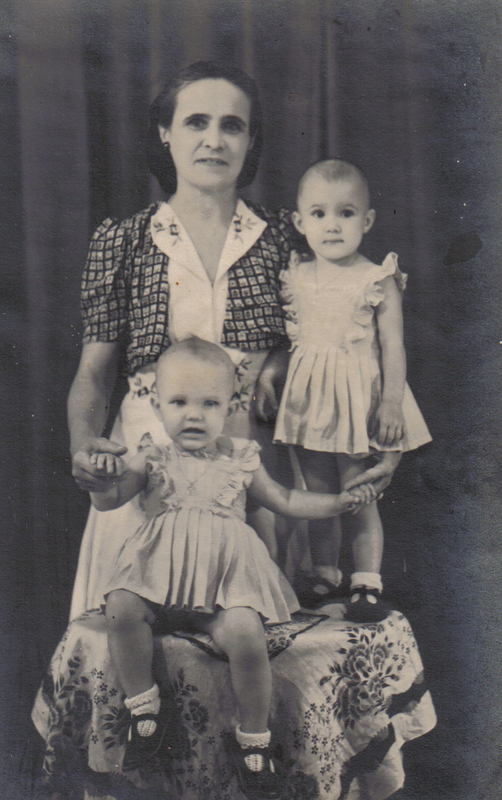 Jean was an accountant at the Suikersyndicaat (Sugar Association), a consortium of sugar producers. 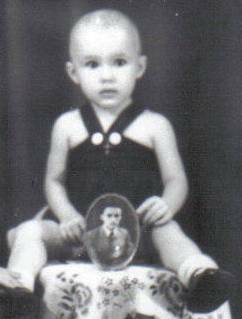 High ranking Japanese military officers also employed her as a tennis instructor for their daughters, because she had been a champion tennis player before the war. With thousands being deprived of their jobs and sent to concentration camps, the Mullers were fortunate to continue earning a livelihood. 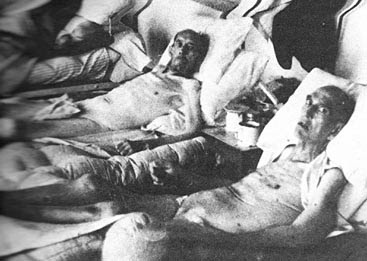 But Albert suffered from tuberculosis and grew weaker with each passing month. The parting came sooner than expected, on the 28th. 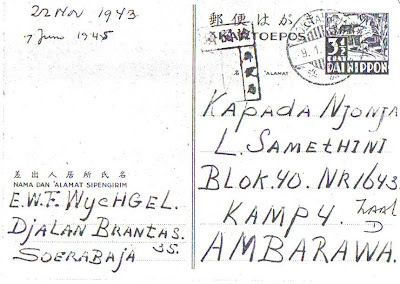 Front and reverse of the postcard mailed to Elisabeth at Ambarawa camp. At home, Anna worried about Margie's repeated bouts of illness, a potentially dangerous development given the lack of hospitals. The liquid medicine she could obtain was effective but foul-tasting, with the result that Margie recoiled from her and gravitated to Emma. The girl's favoritism towards her grandmother was only temporary, but it probably added more strain to an already difficult relationship between Anna and her mother-in-law. Sometime in late 1943 Albert Muller died. 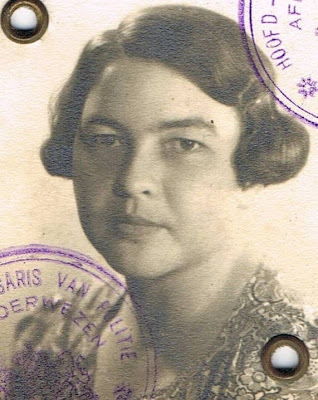 Jean remained briefly at Altingstraat before coming to live with the Samethinis in January 1944. It was a fateful move. 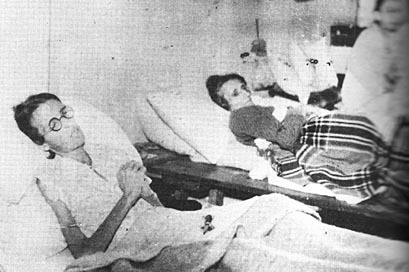 Jean resented Emma's domineering treatment of Anna and could not abide the apparent neglect of Margie, whose health continued to worsen. Taking matters into her own hands, she brought Margie to a Chinese doctor and persuaded Anna that the three of them should leave. After quitting the Brantasstraat house, they lodged with Jean's relatives, the Haccous, at Bothstraat No. 10. 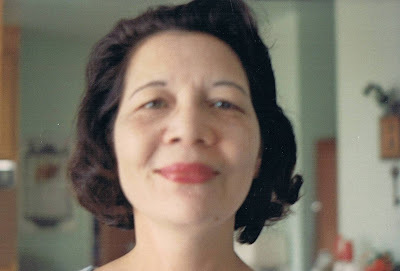 It is possible this intervention saved Margie's life, but there was a cost: Jean's influence on Anna precipitated a rupture in the family that was to cause much heartache in the years to come. The occupation continued for another fifteen months, formally ending when Japan surrendered on August 15, 1945. 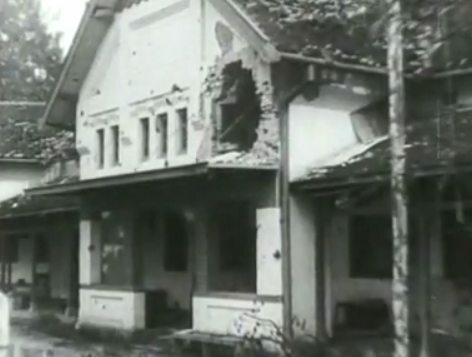 Theoretically the East Indies now came under British authority as part of the territories allotted to South East Asia Command (SEAC), but in fact it would take weeks or months for Allied forces to disarm the Japanese garrisons and establish control. In the interim the Japanese were instructed to keep order without inflicting any further mistreatment on their captives. 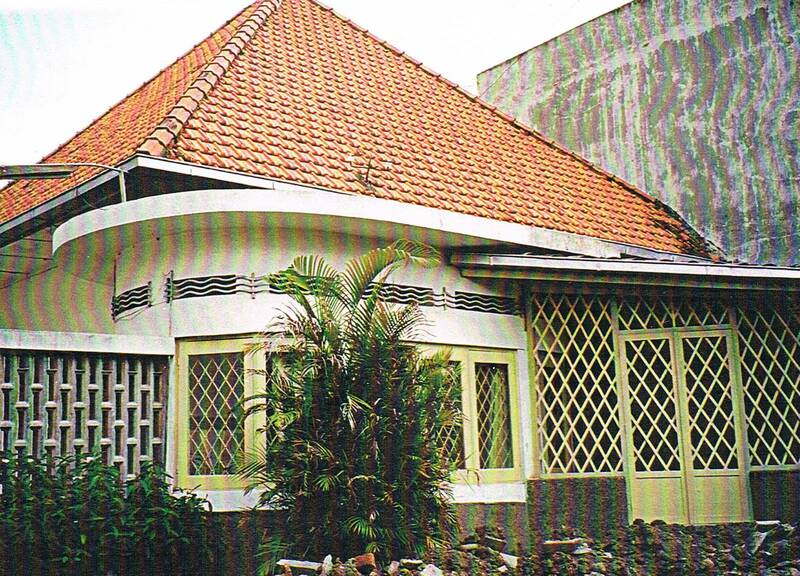 Jean was able to return to her old house on Koetaistraat, where she settled with Anna and Margie to wait for the British. They were joined by Jean's sister Elly and her children, Hanneke, Marijke, and Peter. The women waited in fear. 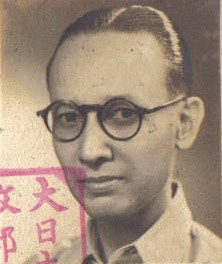 On the heels of Japan's surrender, Indonesian nationalists led by Sukarno had proclaimed independence from Holland and the establishment of the Republic of Indonesia. Generations of pent up resentment against the Dutch, both white and Eurasian, erupted in a deadly revolution that neither asked nor gave quarter. 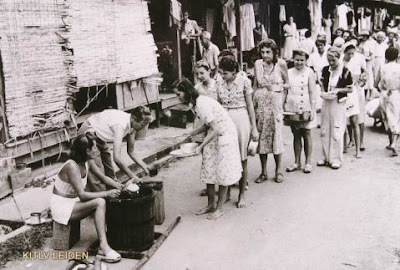 All over Java the Dutch were murdered in the streets and even in the internment camps, where many of them still languished. The revolutionary watchword, Bersiap ("be ready"), became the historical name for this terrible period. 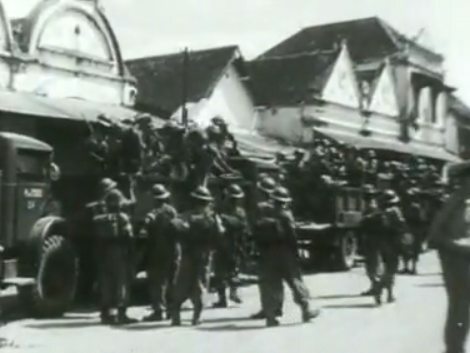 Newly arrived British forces were so hard pressed that they employed Japanese troops to fight the Indonesians, an ironic measure by which the late oppressors of the Dutch became their unlikely protectors. 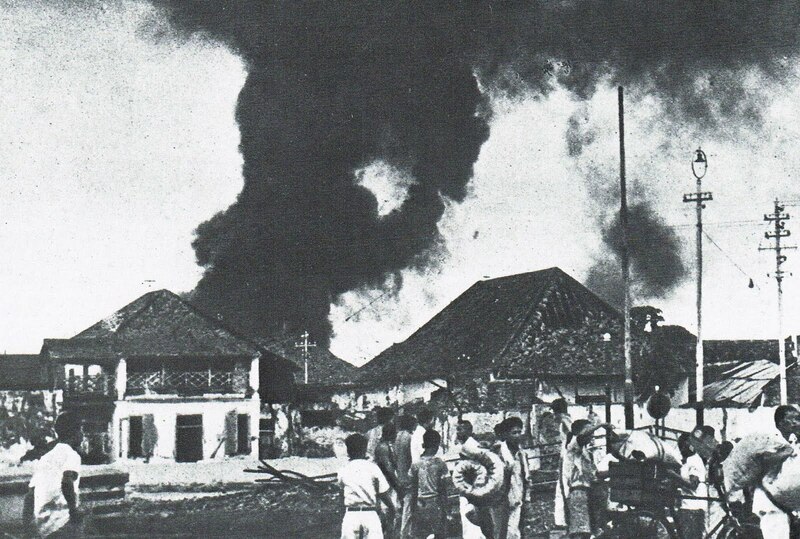 The pemuda (young revolutionary fighters) took over Surabaya in September. Here as elsewhere, they looted and slaughtered, but their larger purpose was to fortify the city and prevent its reversion to European rule. 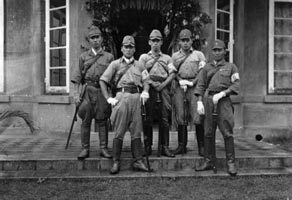 They were joined by more disciplined Republican soldiers, who had received Japanese military training during the occupation. 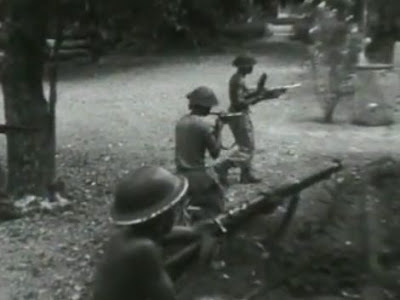 On October 24 the British landed 4,000 troops comprising the 49th Infantry Brigade of the 23rd Indian Division, unaware that they faced well-armed Indonesian forces numbering 20,000 regular soldiers backed by more than 100,000 irregulars. 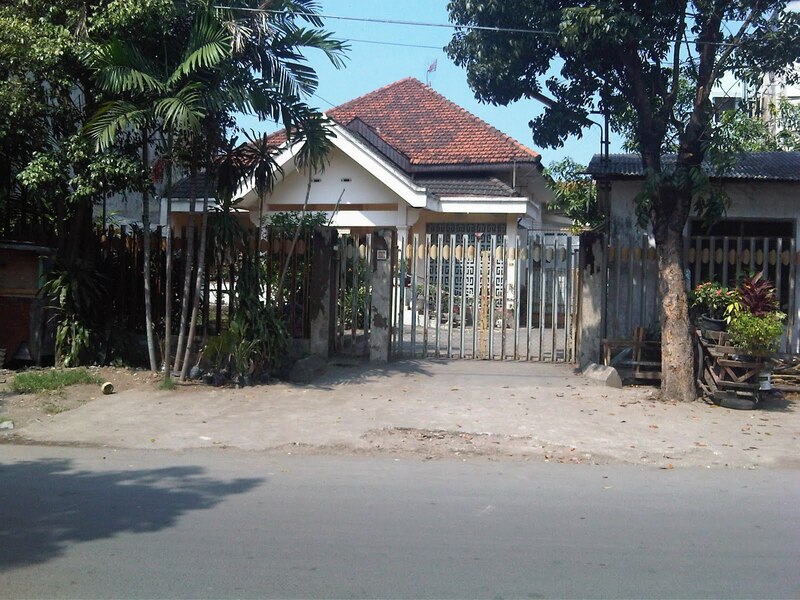 The Indonesians permitted the 49th to take up positions in the city. These posts were stealthily surrounded. 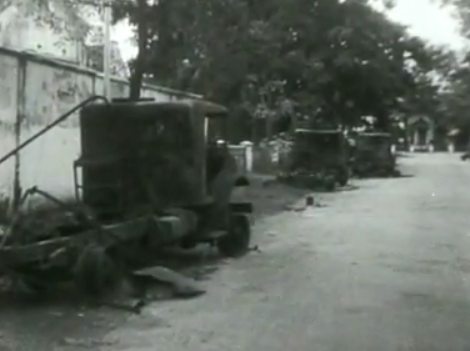 When the signal was given, the revolutionaries attacked, overrunning and wiping out a number of Indian detachments. Street fighting raged until the negotiation of a ceasefire six days later. The British soldiers were very much taken by my mother, a pretty woman. They told her, Elly and Janny [Jean] that they had heard some very bad news about planned massacres of Dutch women and children. They told them to listen for their whistles, and if they should hear them, to leave immediately, no dogs, no baggage, nothing, just the kids (Hanneke and Marijke were with us, Elly was their mother). The whistle would mean bersiap "pelopor" youths would be entering the street. They also hacked a hole on the convent hedge behind the house and told the nuns about our planned escape. The whistle went off early in the morning. Hanneke remembers how Janny frantically left food for the dogs everywhere. Janny thought Anna had taken the pieces of gold with her (all they had) and Mom [Anna] thought the other way so they had nothing. For details on Japanese taxes and confiscations, see: Annual Report 1942 from the Royal Swedish Consulate in Sourabaya, pp. 10-12. 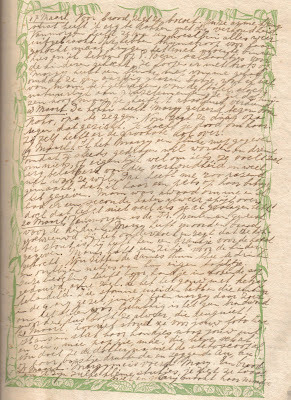 (External link to scanned documents in the Dutch archival web site Beeldbank Nationaal Archief. Page numbers according to the web page, not as printed on the original document. Use arrow buttons at bottom right of the page to navigate through the documents). The Sky Looked Down, Appendix A: Lisa's Story. 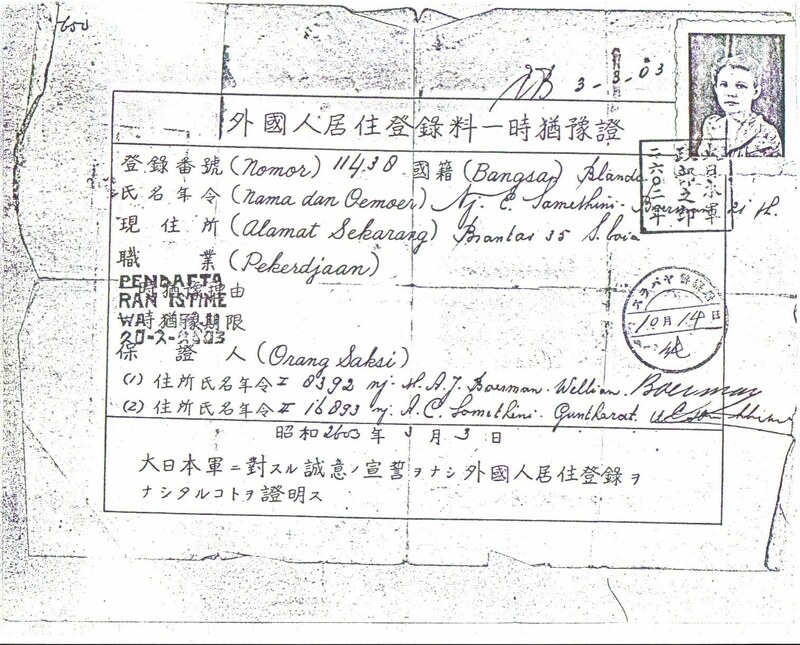 See also: Annual Report 1942, p. 53 concerning the seizure of Surabaya hospitals by the Japanese military. Recalled from a conversation with eyewitness Jeannette Muller von Czernicki, sometime in the early 1990s. 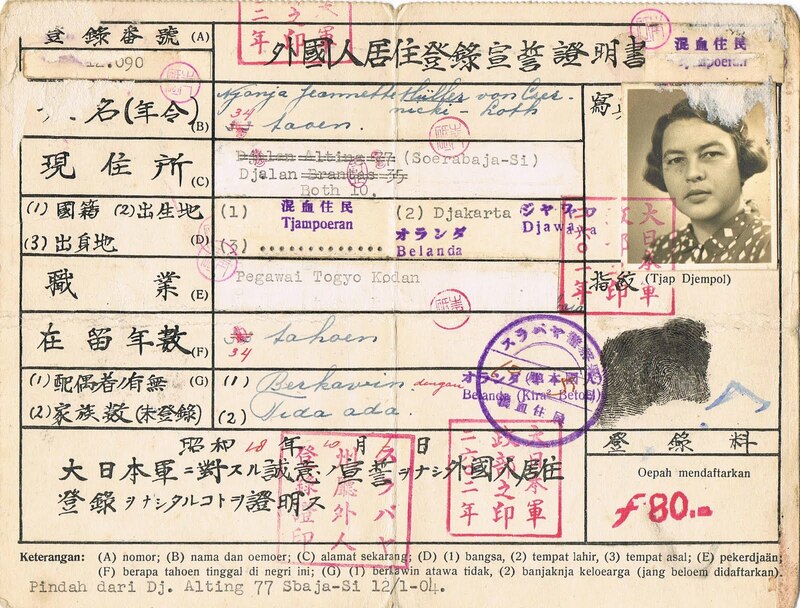 Anna's Japanese ID certificate has not been preserved, but she would have been classified as either Belanda (Dutch) or Belanda Indo (Dutch Eurasian). To be registered as a German national, one had to possess a Nazi German passport. See: Annual Report 1942, pp. 40-41. Probably Emma's comment simply distracted the Kempei inquisitor long enough for his wrath to cool. As can be seen in this mid-1960s photo, Anna's "traitor eyes" were noticeably green. 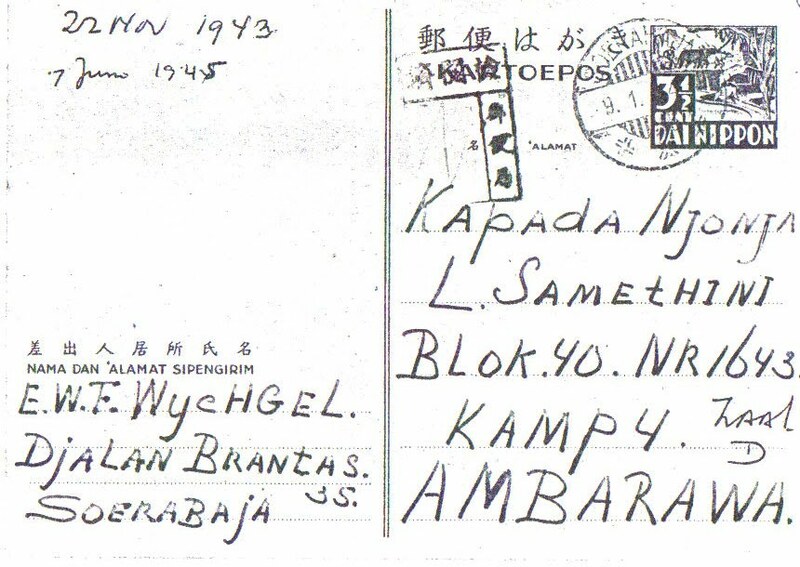 Anna Samethini diary: June 3, 1943 entry. Translation by Margie Samethini-Bellamy. Han Samethini Collection. Ibid., August 7, 1943 entry. Ibid., September 25, 1943 entry. Ida Bowyes was a friend of Elisabeth's mother. Ibid., September 28, 1943 entry. 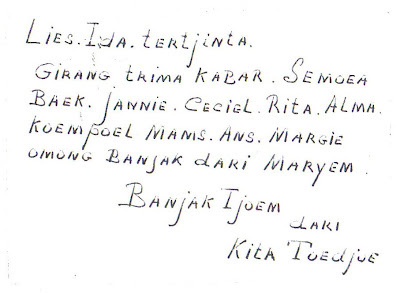 Translation by Mrs. Linda Santoso. 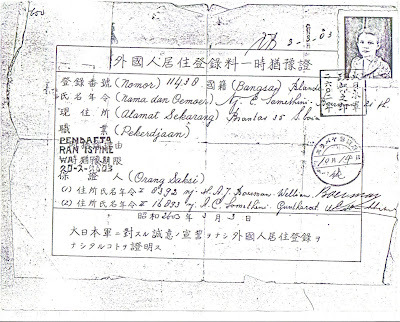 Per Japanese Army regulations, all correspondence with internment camp inmates had to be submitted on postcards, written in Malay, and must express only a positive message. See the Dutch Wikipedia article: Jappenkamp. These were naval warplanes launched from the aircraft carriers HMS Illustrious and USS Saratoga. The attack was codenamed Operation Transom. See: Operation Cockpit and Operation Transom. 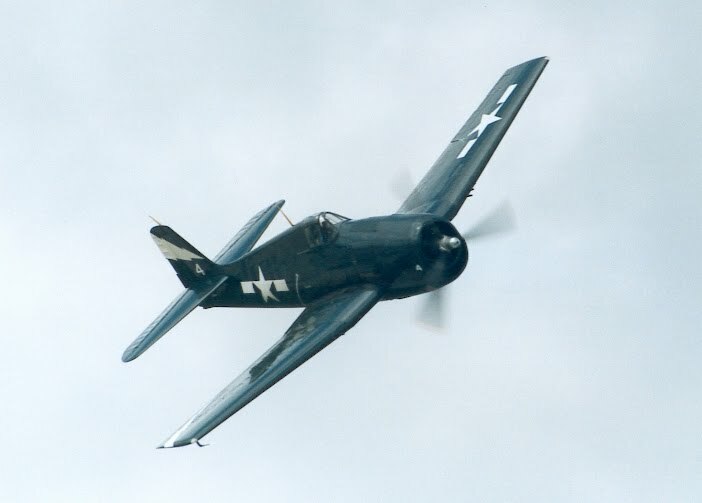 Aircraft types deduced from the Wikipedia article: Operation Cockpit. Information on events at the Suikersyndicaat office recalled from a conversation with Jeannette Muller von Czernicki, early 1990s. The name of the Japanese company she worked for seems to have been Togyo Bengo-kai. 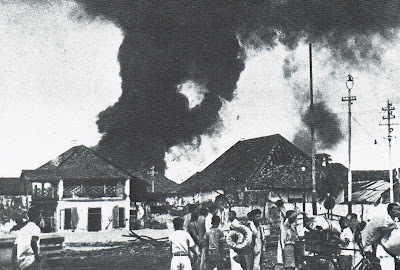 Indonesian forces at Surabaya were greatly strengthened through an act of Dutch hubris. 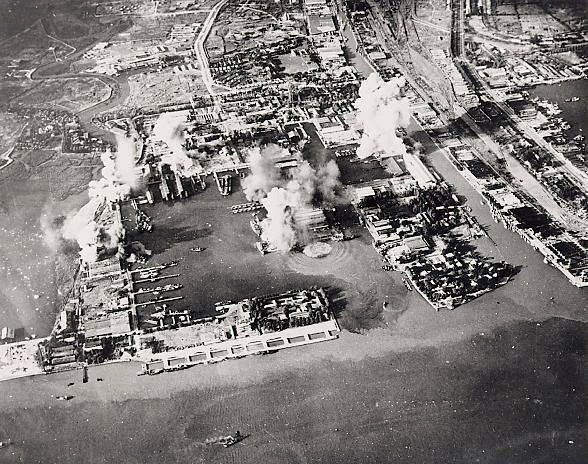 In September 1945, the top Dutch commanders in the Indies, Admiral Helfrich and General Van Oyen, permitted a lone naval officer, Captain Huijer, to take the surrender of the Japanese 16th Army in Surabaya. The Japanese dutifully paraded on the airfield and handed over their weapons before marching away to Semarang. This vast stockpile of arms, including tanks and artillery, was promptly seized by a division of Republican troops arriving on the scene. Richard McMillan, The British Occupation of Indonesia, 1945-1946 (London: Routledge, 2005), p. 32. Other information gleaned from the Wikipedia article: Battle of Surabaya. 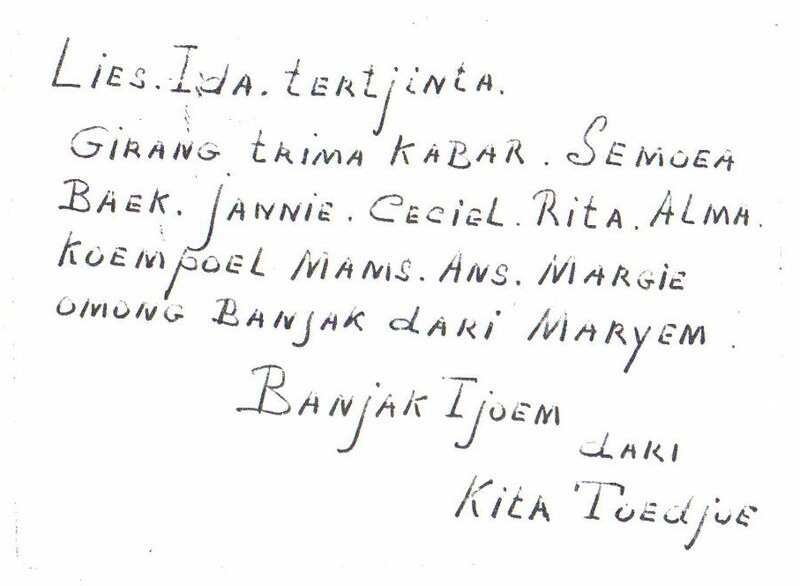 Personal e-mail from Margie Samethini-Bellamy. Pelopor is an Indonesian word meaning "vanguard fighter," i.e., a young revolutionary. It derives from the Dutch voorlooper (advance guard). 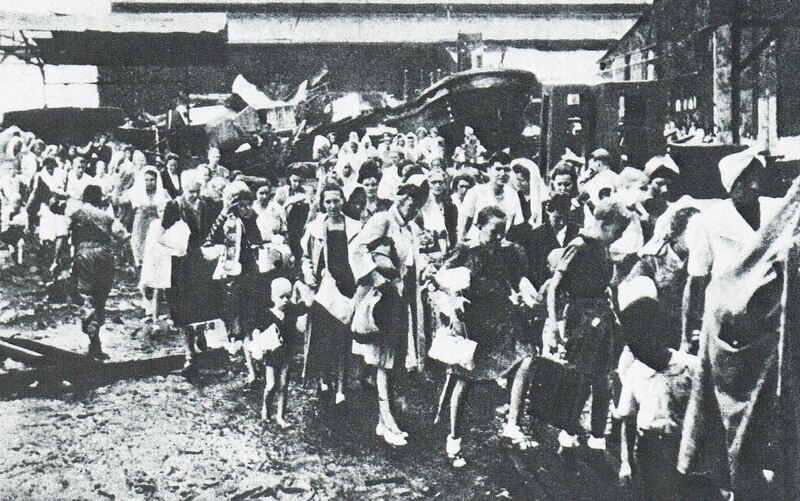 Margie's account suggests that she and Anna were evacuated in late October, during the first outbreak of fighting. Unlike their overconfident commanders, British soldiers on the streets were keenly aware of anti-Dutch agitation and the growing hostility of the revolutionaries. Thus they were able to give advance warning to the women in the Koetaistraat house. 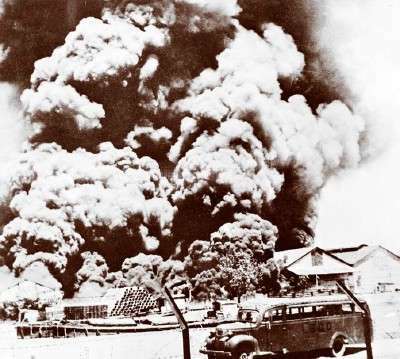 On the afternoon of October 28, the TKR and Pemuda struck all across the city, killing 11 British officers and 44 Indian other ranks in a matter of minutes. Numerous small outposts were overrun, and a lorry convoy with hundreds of Dutch and Eurasian women and children was attacked with great loss of life. Fighting resumed at first light next morning and the situation became desperate, as many detachments were short of ammunition. Survivors recalled the attackers' reckless ferocity. "Death Knell of the British Empire" by Patrick Heren, Standpoint Magazine (November 2010). 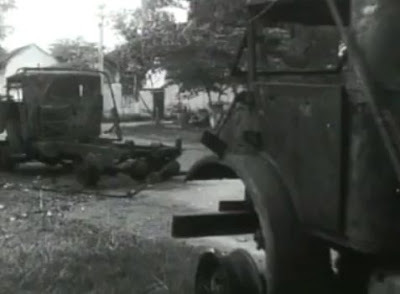 Information on the battle drawn from the Wikipedia article: Battle of Surabaya. 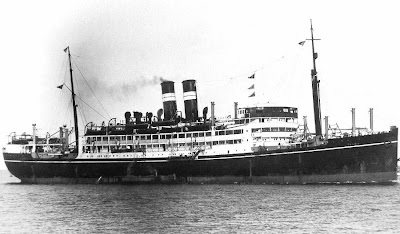 The vessel that took Anna and Margie to Singapore was the Talma, an old freighter pressed into British military service. 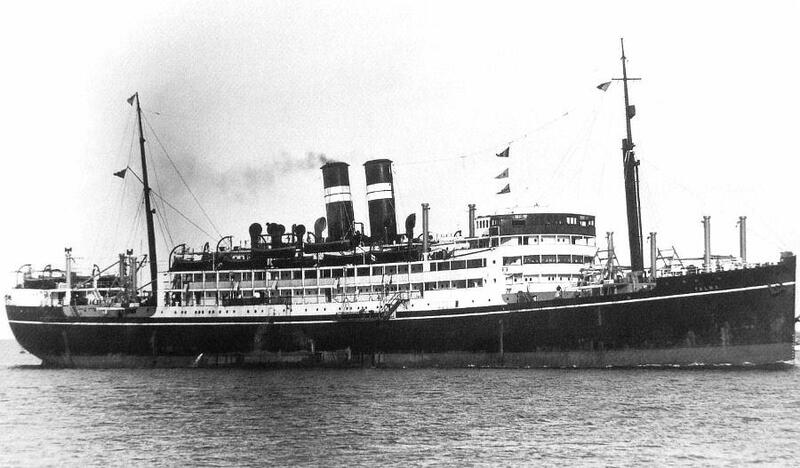 Dutch refugee H. Beers, who was in the same evacuation group, described it as a Gurkha hospital ship. Anna's maiden name is misspelled "Gunthout"